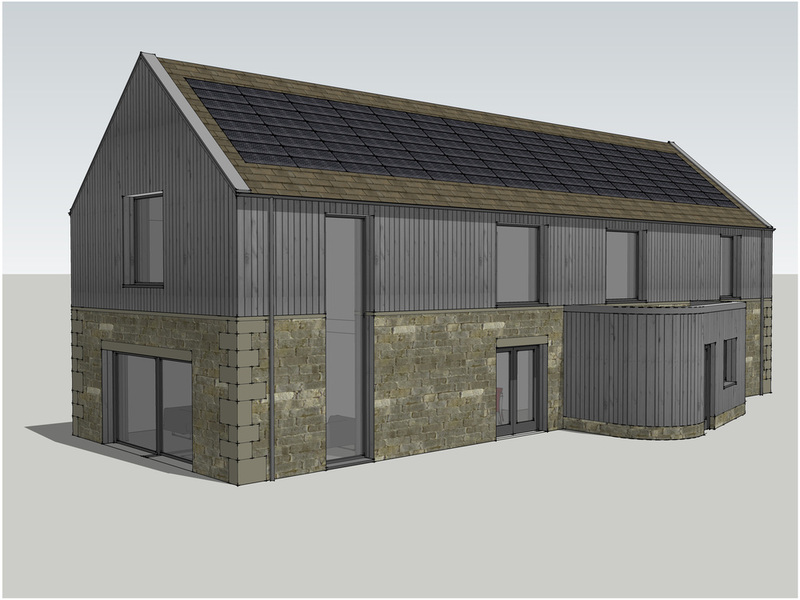 Planning permission has recently been requested for a Passive House on an existing small holding within a moorland landscape. There is a heavy emphasis on the building forming part of a sustainable ecosystem on the small holding. The use of the Passive House, near-zero space heating, standard is a main part of the design philosophy.